The main part of any move is preparation. The packing is very important. All the loose items are put into boxes and labeled so that they can go back into the appropriate room at the end of the move. The driver must keep an exact inventory of everything to be moved. All the furniture that can be disassembled is taken apart to protect the furniture and to save space in the loading of the truck. Tables, beds, lawn mowers, grand pianos as well as baby grands, exercise equipment, conference tables in big offices, L-shaped desks, partition offices, stacked washer and dryer combinations, book shelves, and credenzas are all examples of things to be taken apart before a move. Everything disassembled at the beginning of a move must be reassembled at the destination so all parts, pieces, screws and other fasteners must be carefully marked,wrapped, and inventoried to alleviate any loss or mishap. Michiana Movers located in Elkhart, IN offers all disassembly, reassembly, and inventory control for no extra cost. 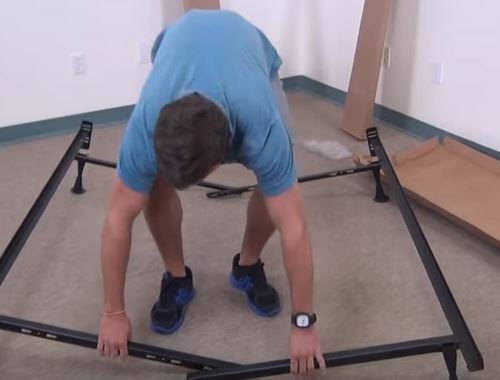 Putting furniture back together or reassembling can be one of the most challenging parts of the move and if not done right could cause damage or even complete loss of use. No on wants a three legged table or one that will fall down because of screw loss. The Grand Piano must be disassembled before the movers can move it and then it is wrapped and strapped to a Piano Board. The piano board protects it from damage. The heavy piano can be rested on floors while strapped to the board. The piano stays on the board and is strapped in with the total load on the truck. The wrapping and piano board protect it from damage during the move. Everything that Michiana Movers does is designed to keep furniture safe during hauling and delivery. After books have been packed, bookshelves are removed from the bookshelf cabinet. Each shelf is individually wrapped as is the bookshelf cabinet. Stacked credenzas are separated after removing any hardware holding them together, then wrapped separately and inventoried. Beds are always disassembled after removing mattresses and any canopy has to be removed and taken apart as well. For offices located in Elkhart, Indiana, petitions have to be taken down and any hardware removed must be carefully inventoried for help when being reassembled. L-shaped desks have to be disassembled for moving.Lawn mowers must have fuel and oil removed before transporting by any American mover or hauler of any kind. After liquids have been removed, the push handle is removed so that the mower can be wrapped and incorporated to the load. The driver inventories and loads the furniture, then drives to the destination. The furniture is placed in the new location, then the mental work begins and everything is gathered in each individual location for reassembly. Everything is put back together in the opposite order of when disassembled, making sure all bolts are tightened. The legs are now back and the screws are tight on the piano. The piano board is back on the moving van. All items are as they were before moving, but they are in their new location. Michiana Movers are proud of yet another perfect move with a happy customer. If you have been wondering if your home furniture can be disassembled and reassembled in the exact same way, then we can assure you that it certainly can. Our licensed and insured moving company stands only for our highest quality service with no limits, plus we always guarantee our clients that we can professionally disassemble and reassemble all types of furniture the exact same way and even better than it was when you first purchased it. We can offer this service to our clients at no cost. You never want to hire someone that has no skill in disassembling furniture for moving because they can cause damage to it. Our company can provide you the lowest price and best service, along with a complete no hassle guarantee. We can take the stress out of any of your moving in or moving out problems. We offer our clients same day service or 24/7 services for emergency moving. We have the experts who can take apart of even break down any type of furniture. We offer services for the dismantling, restoration, disassembling, and assembling of all types of furniture, including sofas, sofa beds, couches, sleepers, love seats, chairs, ottomans, sectionals, chaises, daybeds, and a whole lot more. If you plan on moving to a new home, new apartment, or new business office, then our team of experts can offer furniture disassembly and reassembly services for your residential home and commercial business needs. Our expert moving team can disassemble and reassemble all of your furniture that needs to be relocated from room to room. Our experts can also reassemble all of the furniture and set it up at your new location. You should leave putting furniture back together or reassembling after moving to the professionals. We can work with you and your family as your professional moving company to help you all coordinate a flexible and convenient moving schedule. You can contact us to get your free quote or estimate for furniture assembly and disassembly. We can provide written estimates if you need them for insurance purposes. Our professional movers have the highest quality services that are provided by our trained and experienced moving technicians. Our licensed company is known for superb quality, the most reliability, and the best affordability and has been rated as excellent by our loyal and trusting clients who have used our services before. We always show our clients appreciation for the value of protecting your furniture. Our moving services have been rated as a number one service company in and around the metro area. Our loyal and trusting clients have given us the recognition for all furniture repair and disassembling services. You may contact us online right here by filling out our form of contact or give us a phone call. We are the best long distance movers and short distance movers in town. Michiana Movers for Disassembly and Reassembly at No Cost is waiting to serve you best. We will assure all clients that we can help them save money, time, and hassle.